BA, LLB (Hons) from Deakin University and Master of Laws (Commercial Law) from Monash University. Phillip practices in the areas of Corporate and Commercial law. 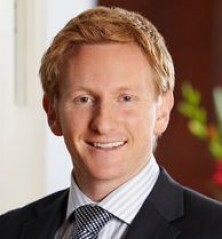 His expertise includes mergers and acquisitions for listed, unlisted and private companies, joint ventures, capital raisings (including advice on underwriting arrangements),financial services advice and compliance (including registered and unregistered managed investment schemes), regulatory compliance and international mining mergers and acquisitions. Phillip has also worked in China and is experienced in China-based investment activities and commercial transactions.